Baker's first instrument was the guitar, until he took up electric bass in his mid-teens, with a background in both jazz and classical music. While a student at the Birmingham School of Music in 1980, he met former Soft Machine violin player Ric Sanders at a students' party. At the time, Sanders and guitarist John Etheridge were in the process of forming a new band after Second Vision had folded, and asked Baker to join the line-up, eventually christened "The John Etheridge/Ric Sanders Band". A large British tour on the jazz circuit resulted, but unfortunately the band broke up before recording anything. The next step in Baker's career was to form his own band, the Fred Thelonious Baker Group, which in 1984 recorded an eponymous album which was only released four years later. The band featured his sister Shelley Baker on flute and saxophone. More noted was his subsequent collaboration with trumpeter Harry Beckett. With Beckett's group, he toured Europe extensively and recorded three acclaimed albums. Continuing his association with John Etheridge, he also played in the Elton Dean/John Etheridge Quartet with drummer Mark Sanders. This led to him being recommended by Dean as the replacement for the departing Hugh Hopper in Phil Miller's In Cahoots, in April 1988. His recording debut with the band was on the "Split Seconds" album. 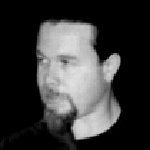 Currently in his 10th year with In Cahoots, Baker has played on the albums "Live 1986-89", "Live In Japan", "Recent Discoveries" and "Parallel", as well as Miller's solo release, "Digging In". In 1991, Baker and Phil Miller formed a guitar duo, playing countless gigs and recording the "Double Up" album which featured two Baker originals (another, "The Opener", was included on In Cahoots' "Recent Discoveries"; and the band's live set in 1998 includes a piece of his called "On The Up Side Of Things"). In 1993, Baker recorded "A Moon Of Roses" with pianist Horace Parlan in Germany, and the following year, as a guitar player, an eponymous Fred Thelonious Baker Group album, featuring drummer Brian Abrahams, percussionist Mamadi Kamara, bassist Matt Rooke and saxophonist Shell Baker. He also works frequently in a folk/jazz context with Ric Sanders and Vicki Clayton, his most recent project with them being a tribute album to Sandy Denny, "It Suits Me Well". In addition to performing and recording, Baker also teaches jazz and progressive music at the Birmingham Conservatoire of Music. In addition to various projects, his solo album "Basically Speaking" was reissued on CD by Voiceprint in 1999. In 2002, Fred Baker was invited by Pip Pyle to join his new band Bash, following his own departure from In Cahoots. The bassist had been a major contributor to Pyle's 1998 solo album "Seven-Year Itch".